While there are many kitchen remodeling contractors serving homeowners in Phoenix, Arizona, and the surrounding areas, a favorite among homeowners is Premier Kitchen & Bath. Why? The answer is simple: We are well known for consistently providing beautiful designs, impeccable craftsmanship, and exceptional customer service. In fact, we’ve been named Best Houzz 2017 service for these very reasons. Discovery – We’ll meet with you to learn about the scope of your project as well as your preferences for design and functionality. Design – Our designers will create several design concepts and provide you with product samples so you can see and feel the materials that we’ll be using. Revision – After you’ve settled on a design, we’ll have as many revision meetings as necessary to ensure that you are 100 percent satisfied. 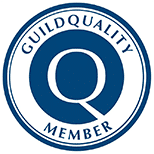 Construction – Our installations are carried out by experienced tradesmen who are committed to upholding the very highest standards of craftsmanship. 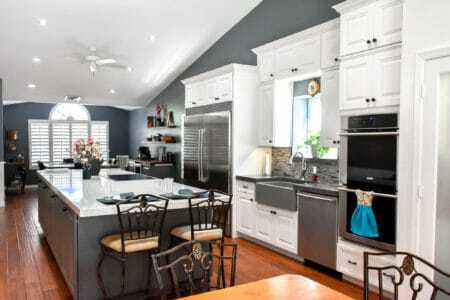 Founded in 1994, Premier Kitchen & Bath has decades of industry experience. We put our expertise to work by helping our customers turn their renovation dreams into realities. For more information about our remodeling services, contact Premier Kitchen & Bath today. 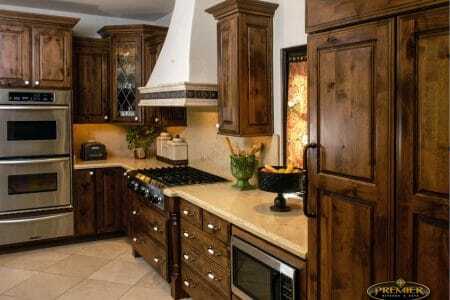 We are proud to be among the most sought-after kitchen remodeling contractors serving Phoenix, AZ.